Almost immediately after buying Hillcrest Memorial Park in 1977, Tom Flynn began to establish it as a special place for veterans. On Veterans Day, 1978, the sixtieth anniversary of the end of World War I, he established a six-acre section as the Garden of Valor for the burial of veterans, with monuments honoring veterans of World War I, World War II, and the Korean War. In 1980, on the 100th day of the Iranian Hostage Crisis (1979 to 1981), he directed the hoisting of 100 flags along the Avenue leading into the cemetery. 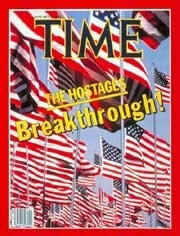 One more flag was raised each day until the hostages were released on January 21, 1981, 444 days after they were taken. In 1991, he added a Vietnam Veterans Memorial. In 2005, he directed the construction of the War on Terror Memorial project. In 2012, he began to inter the cremated remains of veterans among the flags around the War on Terror Memorial site. In 2014, he renamed the park America’s Cemetery and established the website you are now viewing. Through this website, the Avenue of 444 Flags extends beyond the front gates to the very ends of the earth. Its Tributes and Videos pages tell the stories not only of veterans interred in the cemetery, but also of many other veterans, living as well as deceased. By reading these stories, you can learn a lot about the sacrifices they have made to serve you and our nation. You can also learn about American and world history, because links within the stories connect you with the historical contexts in which they occurred. By touching your minds and your hearts, they will lift your understanding, appreciation, and knowledge of veterans, and most importantly, your compassion for them. God bless the United States of America and those who sacrifice themselves to maintain it as the greatest nation on earth. 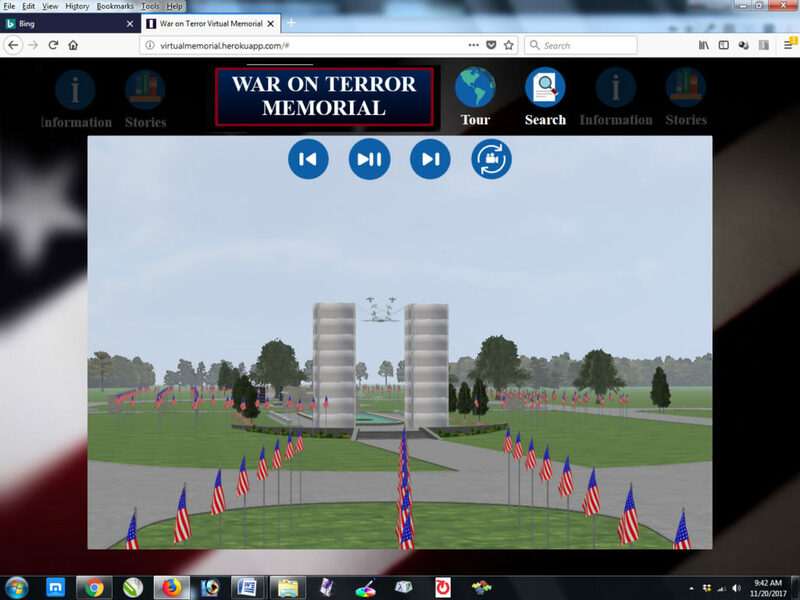 For a virtual tour of present and future architecture and a permits search for military casualties, go to the War on Terror Memorial site. There you will also find a search for information about anyone whose name is engraved on the Memorial.